Israeli Foreign Minister Avigdor Lieberman yesterday threatening to cut off with an axe the heads of Arab-Israeli citizens who are not loyal to the state. “Those with us, should receive everything” in terms of rights, he says, according to Israel’s Channel 2. “Those against us, it cannot be helped, we must lift up an axe and behead them – otherwise we will not survive here,” Lieberman said during an election rally in the western city of Herzliya. He, meanwhile, added that there was no reason for Umm Al-Fahm, an Arab city in northern Israel, to continue to be part of his country. Israel took control of the city in 1949 in the light of the Armistice Agreement between Israel and Jordan. It is the third largest Arab city in Israel. 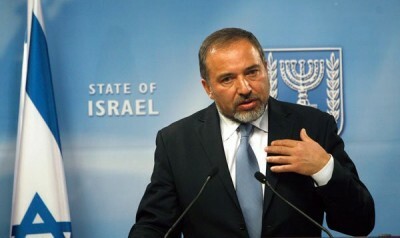 During yesterday’s rally, Lieberman said those who raised the black flag of Nakba Day in mourning over the establishment of Israel, did not deserve to belong to the state of Israel. Lieberman said Israel should seize the opportunity of the presence of similar views with Arab states, without mentioning what these were. He added that some Arab states believe that real threats came from the Palestinian faction Hamas and the militant group ISIS and not from Israel.